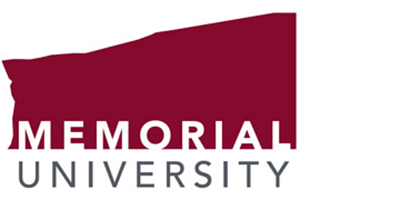 Since its inception in 1995, the Memorial University Chamber Orchestra has become an integral part of the music scene in St. John’s, Newfoundland. Since the arrival of its current director Vernon Regehr, the orchestra has been involved with a number of major collaborations within the School of Music, including fully staged opera productions of Mozart’s Così fan tutte and Die Zauberflöte, Humperdinck’s Hansel and Gretel, and Haydn’s La cantarina. The orchestra has also performed Beethoven’s Choral Fantasy and Brahms’s Schicksalslied with the festival choir, and recently gave the Canadian première of Arvo Pärt’s In Principio with the award-winning Lady Cove and Newman Sound choirs. Another recent collaboration was with the Newfoundland Symphony Orchestra in a gala concert event celebrating Mozart’s 250th birthday, which gained some exposure abroad at the International Festival of Ensembles in St. Petersburg, Russia. The Orchestra provides its members with the opportunity to study and perform a wide range of standard and contemporary orchestra repertoire, and features a solo concerto performance with the orchestra by the winner of the annual student concerto competition. Composer Andrew Staniland has firmly established himself as one of Canada’s most important and innovative musical voices. Described by Alex Ross in The New Yorker as “alternately beautiful and terrifying”, his music is regularly heard on CBC Radio 2 and has been performed and broadcast internationally in over 35 countries. Andrew is the recipient of the 2009 National Grand Prize in EVOLUTION, presented by CBC Radio 2/Espace Musique and The Banff Centre, top prizes in the SOCAN Young Composers competition, and the 2004 Karen Keiser Prize in Canadian Music. As a leading composer of his generation, he has been recognized by election to the inaugural cohort of the College of New Scholars, Artists, and Scientists Royal Society of Canada in 2014. 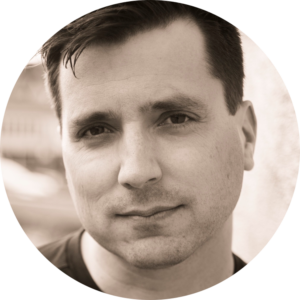 Andrew has been Affiliate Composer to the Toronto Symphony Orchestra (2006–2009) and the National Arts Centre Orchestra (2002–2004), and has also been in residence at the Centre du Creation Musicale Iannis Xenakis (Paris, 2005). Recent commissioners include the Gryphon Trio, Les Percussions de Strasbourg, the Toronto Symphony Orchestra, cellist Frances-Marie Uitti, and American Opera Projects. Andrew also performs, as a guitarist and working with new media (computers and electronics). He is currently on faculty at Memorial University in St John’s, Newfoundland. Writing a meaningful two-minute piece is disarmingly difficult. The challenge is: how does one create meaningful art in this medium? As I pondered this, I had a creative spark. What would our national anthem sound like in a different mode, minor perhaps? I was immediately struck by the simple, poignant transformation. It reminded me of the shame and sadness that I felt when I learned about the Truth and Reconciliation report. 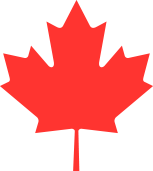 The transformed anthem is reflected four times in a canon in the high strings, four entries for the four original provinces of Canada. The canonic reflections are framed by fanfare blasts from the winds and brass, fixed in flag-waving patriotism. This may be seen as somewhat of a sombre choice for a celebratory commission, but it is honest and powerful. Part of celebrating Canada at 150 is being aware of our past—the good and the bad.